As soon as we finished breakfast, we hopped on our rickety bus and proceeded to Barangay Chaya where the rice harvest or Pfoto' Ad Majawjaw was going to be held. It was a short hike up from the main road to the house of our host. It was nice to see everyone in traditional Mayoyao attire. First order of business, after the introductions of course, was the ceremonial slaughter of a pig. If you're not prepared to see blood or listen to a screeching pig, make sure to stay at the back. But being an inherent part of the Ifugao culture, it's very important to respect the ritual as it proceeds. After the slaughter, the participants partake of local rice wine. Once this is done, the harvest begins and the harvesters proceed to the first terrace to cut the rice stalks. Here is some information from Pochon: "Rice harvesting is a community activity where each member is given a defined role. The women have a special role in the activity being the munbfoto' (the one who actually reaps the rice stalks). They are the ones who cut the rice stalks and hands over to the mun-akun (collectors). 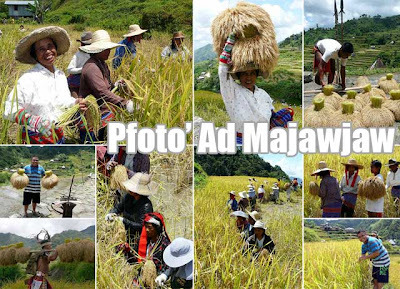 After collecting the rice stalks from the munbfoto', the mun-akun will then give to the munbfa-ud who will tie the rice stalks in bundles making sure that all bundles are proportionate. After tying in bundles, the munbfa-ud will give the bundles to the munkhongah whose job is to trim the stalks making them look neat. The munkhongah will then give the bundle to the munkhu-ud who will properly arrange the bundles at the rice granary. The munkhu-ud is the person responsible in making sure that the bundles are properly arranged in the rice granary. One important character in the rice harvest activity is the munhang, who does the cooking of food which the community members will partake for lunch." Participants of the tour are free to join the harvest if they wish. But be ready to wade in the mud. Well, we settled for second best by harvesting the rice right by the paddy so as not to get ourselves muddied. Indeed, it's an arduous task especially under the hot sun. I was expecting it to be a bit cold but I guess global warming was at work. And I got a bad case of sunburn after today. 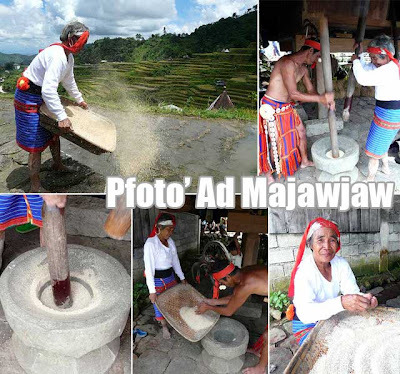 In Mayoyao, even people you don't know help out with the harvest. By tradition, each person who helps for a day is entitled to one bundle of rice. Harvests of each household are scheduled so as not to coincide with one another, or else there might not be enough hands to complete the task. So even if you don't have land, if you're resourceful and industrious enough, you can stock up on rice just by helping harvest. There is even a vantage point to find out who is harvesting rice that day. There are also traditions when bringing bundled rice up to the house. You have to wait until at least ten bundles have been made before you bring it to the house. The host or his wife leads the bundles up to the house. It is first placed in an offering basket before the bundles are stored under the house. We also got a chance to pound the rice and watch an old lady winnow it to take out the pounded husks. By tradition also, eating cannot commence until the harvest is over. But since it looked like the harvest was far from over, our hosts let us partake of the pig that was slaughtered this morning. The pig was boiled in broth and placed in skewers (barbecue sticks). In Mayoyao, the tradition is to count the people using skewers. Once everyone is counted, the pork is proportioned to each skewer to make sure everyone gets a share of the food. Another aspect of this communal meal are the woven bamboo plates where the rice is placed. Each plate is shared by about five people and you just dig in using your hands. This is feasting the Mayoyao way and it was definitely fun! They also served us the broth in cups. After lunch, we were treated to some Ifugao chants and dances before proceeding down for our trek along the rice terraces of Mayoyao. I heychu. Bakit hindi mo ako sinama? Kahit may aversions na ako sa bundok, sama mo ako next time. Yes, next tour is January for rice planting. This is highly-recommended. Aside from the fact that it's organized by the local community, it's definitely worth it! This tour organized by the Pochon Youth Group of Mayoyao is worth it. You should try it out. Next one is in January. Ako din sama! Hehe galing ng shots! 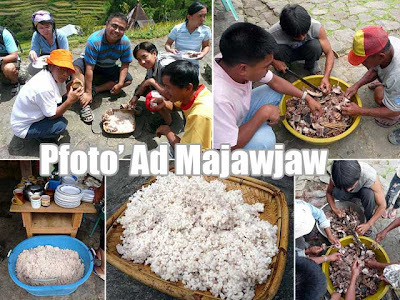 Pochon and Maanichar Centennial batch Assoc., Inc. or Pochon Group; a non-profit organization composed of young people from Mayoyao once again invites you to join the Pfoto' Ad Majawjaw festival (Rice Harvest in Mayoyao) which is scheduled from July 18-20, 2008 in the municipality of Mayoyao, province of Ifugao. It is the advocacy of the Pochon Group to help maintain and preserve the richness of the cultural heritage of this town, to allow the generations to appreciate the cultural practices of the ancestors who tried their best to hand the rich culture to the present generation for the next to learn about it. 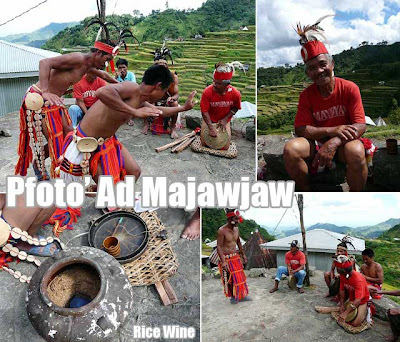 The Pfoto' Ad Majawjaw tour is an eco-cultural activity that the Pochon Group is organizing as its contribution to preserve the Mayoyao Rice Terraces and the culture that goes with the terraces. 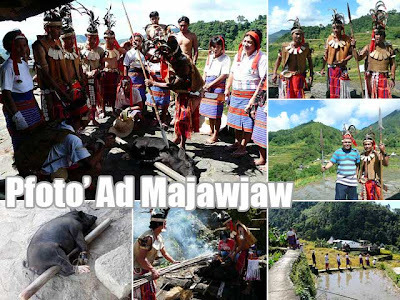 Portion of the proceeds of the tour will go to the heritage trust fund that will be used to help promote the indigenous culture of the Mayoyao People to its young generation and the people who wishes to have an extra ordinary experience in this beautiful town where unexplored nature still abound. Rice harvesting is a community activity where each member is given a defined role. The women have a special role in the activity being the Munbfoto' (the one who actually reaps the rice stalks). They are the ones who cut the rice stalks and hands over to the Mun-akun (collectors). After collecting the rice stalks from the Munbfoto', the Mun-akun will then give to the Munbfa-ud who will tie the rice stalks in bundles making sure that all bundles are proportionate. After tying in bundles, the Munbfa-ud will give the bundles to the Munkhongah whose job is to trim the stalks making them look neat. The Munkhongah will then give the bundle to the Munkhu-ud who will properly arrange the bundles at the rice granary. The Munkhu-ud is the person responsible in making sure that the bundles are properly arranged in the rice granary. One important character in the rice harvest activity is the Munhang, who does the cooking of food which the community members will partake for lunch. See you all for rice planting in January! No problem. I enjoyed it. See you again in January! anyway, thanks again for posting something about Mayoyao. I have photos as well, but have kept them back in the Philippines; maybe someday will write something about that trip. 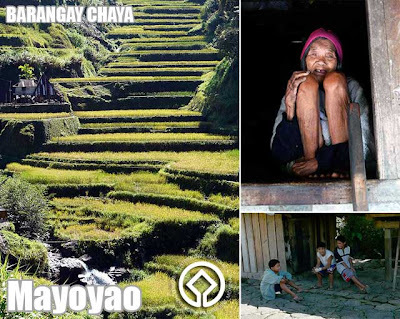 We hope you could visit again Mayoyao sometime when you come back to the Philippines! Mayoyao is a really beautiful place. It's great the Pochon Group organizes these cultural experiences for tourists. I think I saw that hostel since that's where we buy our snacks and water. when is the next schedule for rice planting? can kids ages 13-15 years old join this rice planting? For as long as it's not raining, it's okay to visit. Negative posts that are anonymously posted are not really that credible. First, Pochon only organizes two trips a year due to the logistical difficulties. Other than that, they have their own day jobs. 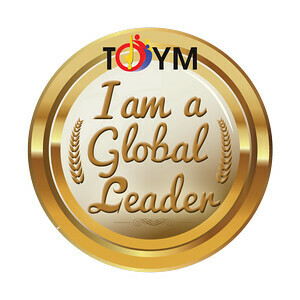 They are not a tour agency which can accommodate you anytime you want to go. Second, you talk about money. I know for a fact that many of their early tours didn't earn. So they had to raise funds from their own pockets to pay their suppliers. Finally, if you didn't find Mayoyao interesting, you can ask UNESCO to delist it from the UNESCO World Heritage List. A few people go to Mayoyao because it's far and really out of the way. Hey ivan! We're doing a project on Pochon Youth Group I was just wondering howd you learn aboutt his group and the experience?